We are one of the proficient Tour Operators in Srinagar, as we offer our clients with the efficient Passport & Visa Services. We understand that the process involved in procuring a passport and visa is complicated as well as tedious. You need to follow many procedures to get your passport and visa in time. 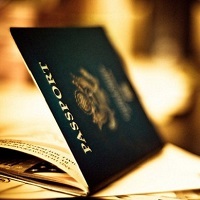 If you are applying for a passport and visa, then we can help you. We have a team of experienced professionals that guide you in understanding the process involved in procuring passport and visa in time. We also help you in documentation gathering. If you have any query, you can contact us.